My god, they showed up at your dreadful wedding. Isn't that enough? 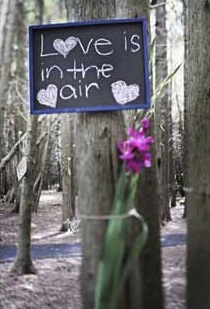 Do you really need to post chalkboard signs about love? Like you know anything about it. You are not even married yet. Give it 5 years and 2 kids and then we will see if you go around posting chalkboard signs about love being in the air. Trust me, this irritates your smarter guests. I would too! 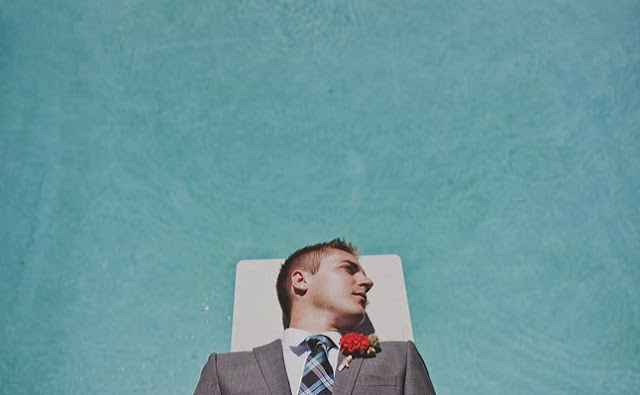 If my bride forced me to lie down on a diving board for my wedding photos I would pull the plug as well! I think you can absolutely tell how a marriage is going to play out by the wedding photos. The more ridiculous and "creative" the bride makes her groom be, the more trapped he will feel later in the marriage. Who am I kidding? He probably feels that way now! LOL! Seriously? Was this photographer so awful that they literally fell asleep taking photos? Oh this picture brings me great joy because it is just so terrible. Thank you terrible photo for making me laugh so hard. On a side note, I hope to one day meet this groom at a bar and for him to tell me his bride forced him to do this. I am sure he will tell me this as he downs a JWB on the rocks.